What is needed on and before the morning of the wedding? I have been doing weddings now for a few years and I would like to think I have gathered a few tips along the way. I always get asked what do u need in the morning.. I will only need a kitchen chair and a plug socket. I don't need any fancy mirror or huge table. Just give me a small space in your living room or kitchen and I'm happy out. 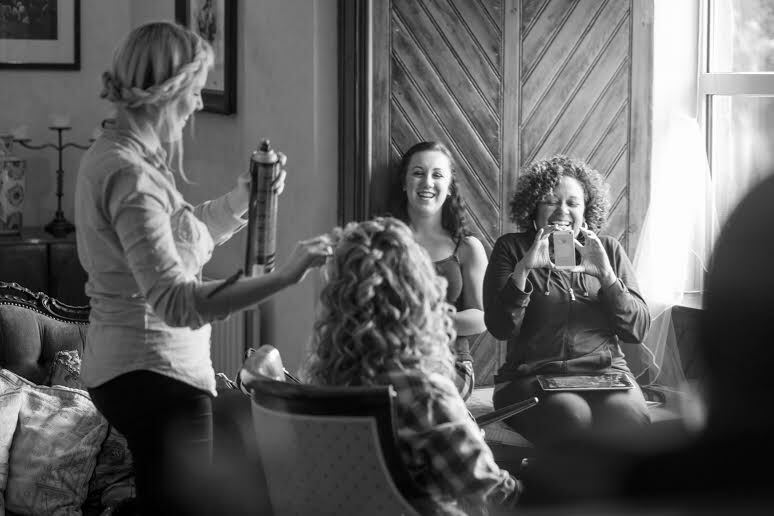 Some brides who may be a little on the nervous side will want a mirror in front so they can keep an eye on the process. That's totally fine too. Generally make up artists will go where there is most light. Sometimes hair and make up is in the one room which is a good idea as everyone is all together and adds to the fun that morning. But other times hair and make up will be in different rooms as there might not be enough space in one room for both. That works fine too. Usually a make up artist will need a table and a high chair. Some make up artists will bring their own chair so maybe double check with them first. If you are getting ready in a hotel, they are usually happy to oblige and send a high chair up to the room. I always find a little backround music is always a good idea. 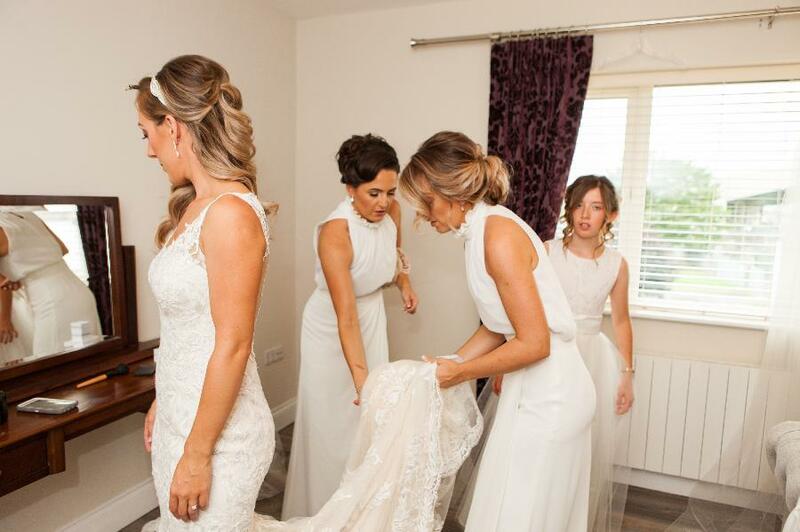 Whether you want to play your fave cheesy music or dance the morning away with your bridesmaids its always good to have something on in the backround. That way if there is any silence it's not going to make you feel nervous. And who doesn't love some tunes to get a good atmosphere going. This is sooo important on the wedding morning. I know some people are nervous and don't feel like eating but think of the hours ahead of you, you will be starving if you don't eat something. I would suggest not to eat anything different to what you have on a normal morning. So stick to the porridge if that's what you have most days. If your getting ready at home alot of brides get some hot food at the local shop. This gives mammy a break and more importantly the house won't be smelling of a fry up!! If you are getting ready in a hotel. Chances are hair and make up will be there early so order the food up to the room so you can chill out and there's no risk of meeting himself in the corridors. Bad luck and all that if you are the superstitious type!! I always have my bridal party hair done an hour before the ceremony. This gives you time to put your dress on and get pics with the photographer etc. 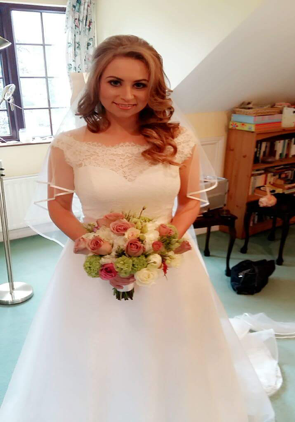 It may be a good idea to check with your photographer what time they need you in your dress for and the make up and hair can work off that time then. 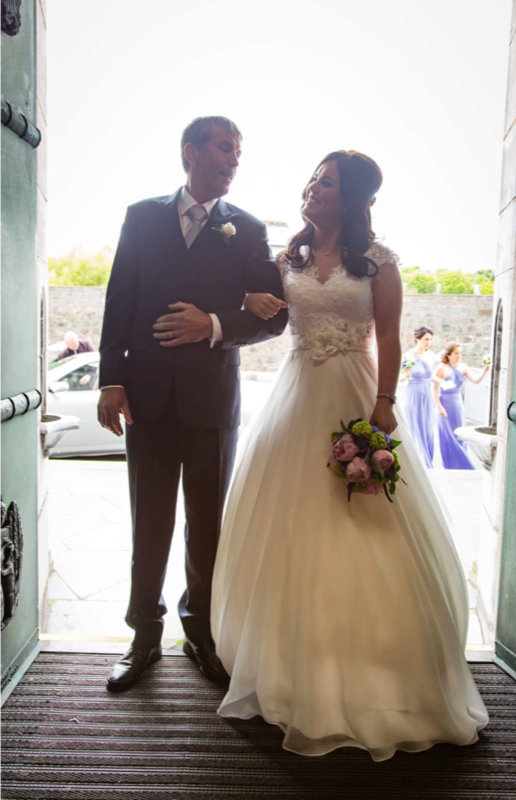 If you are having a first look timings are really important, so make sure all your suppliers that morning know that you are having a first look. 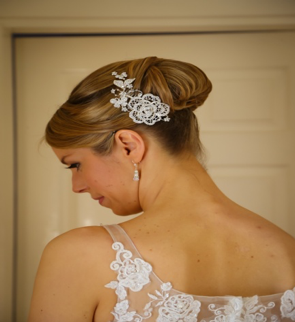 The photographer will want to see your dress and all your other accessories etc. like earrings, engagement ring, headpiece, invites shoes etc. So it might be a good idea to lay them out the night before so your not trying to look for anything the morning of. Yes believe it or not this causes a fuss on the morning. So if your getting ready at home give someone the job of putting the ribbons on the car. Usually a dad or brother gets this job because they are only dying to get a job and be away from hair and make up for a while!! I would advise them doing a trial run the day before because some find it tricky. Videos on you tube can be helpful! Some bouquets are put into water by the florist and they will ask you to take them out of the water before you leave. It's so important to dry the bottom of the bouquets well as you don't want water stains on the dresses walking up the aisle. Also a good idea to store them in a cool place when they arrive that morning ( not near a radiator) as they might wilt. If your dress has a lot of buttons and if you are lucky enough to have your mam apart of your day you may want a pic of her buttoning up the dress. 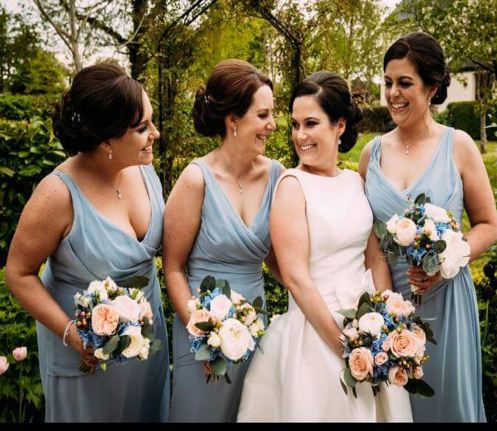 Again this might not be everybodys cup of tea but I would recommend your mam going in for the pic and then maybe getting a bridesmaid to finish it off. Sometimes nerves and emotions might get in the way of your mam tying up the dress so you don't want to put anyone under pressure. So just give the job to someone who is cool and calm. I always show the bridesmaids how to take out the veil for later on. Some may be nervous of this but I always put it in a way that is easy to remove. So no need to panic!! 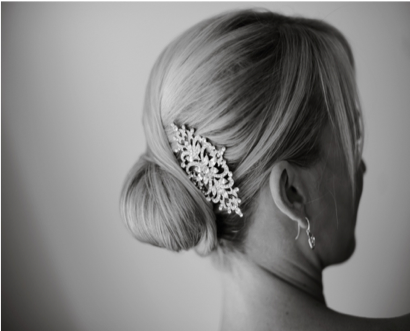 Handy things to have in the bridesmaid bag are... a few hair pins and a tail comb. This is for combing your fringe if you are outside and just to give it the once over when you get in and a few clips incase there are any strays. Get someone to take a pic of you and your bridesmaids before you leave on someones phone. You won't get the professional photos back for a while so I know if it was me i'd love to see that pic the following week. If you think you are going to have a little tear pop a tissue into your bouquet. This might not work for every bouquet but I have seen it work before. Or some brides wrap it around the part where they hold it in their hands. Just handy to have incase you have a tear at the top of the aisle. 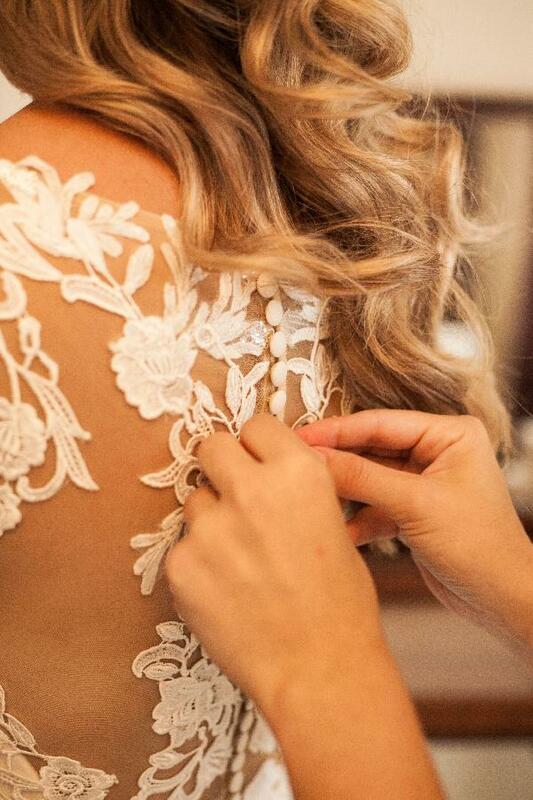 Some florists will have a magnet for you to attach the button hole onto the dress/ suit, however it is always a good idea to have a few pins incase you lose a magnet or if the flower is too heavy for the magnet. Usually the make up artist, hairdresser, videographer and photographer have a good idea how to put these on so don't be afraid to ask. They are just a few little tips that you may find helpful. If you know of any more you have encountered on past wedding mornings that other brides may find helpful please let me know. The most important thing of all is to have fun and trust your suppliers. It is our job to make sure the morning runs as smooth as possible for you and your bridal party and for you to sit back and relax.